Gary Komarek has been evaluated by the Paladin Registry. Paladin Registry is an independent information services company that evaluates and rates the qualification of financial advisors and planners. Paladin issues one to five star ratings based on a comprehensive review of the advisors’ credentials, ethics, business practices, and financial services. Paladin only admits independently-owned RIAs and IARs. Investment Advisory Services offered through Sound Income Strategies, LLC, an SEC Registered Investment Advisory Firm. 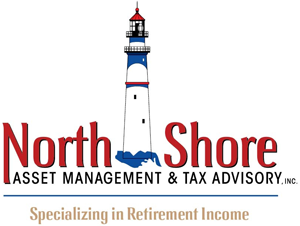 North Shore Asset Management & Tax Advisory Inc and Sound Income Strategies, LLC are not associated entities. Sound Income Strategies, LLC does not provide tax, accounting, or legal services.